Varoulko is the first Greek restaurant ever having been awarded a Michelin star (in 2002). Chef Lefteris Lazarou is renowned for creating and reinventing Greek fish dishes on a very high level. 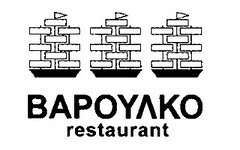 The restaurant is located on the Piraios road where several bouzoukia are located.